In Febuary 2015 we held Writing Workshops for parents. The handouts from the workshops are below. The aim of these workshops was to give parents and carers ideas as to how to develop their child’s writing and how they can support learning in the classroom with activities at home. • Find out how you can help your Key Stage 1 child with the mechanics of writing. • Understand how you can inspire your Key Stage 1 child to write. • Discover the importance of helping your child rehearse sentences in their head before wring them down on the page. • Find out how to help your child extend their sentences by using simple connectives. 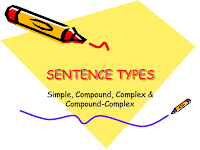 • Determine how to help your child develop a range of sentence structures to be used in a ‘good’ piece of writing. • Explore sentence types and get to grips with higher level punctuation.